Storyline: It has been years since Sébastien (Stéphane Rousseau), a wealthy London investment banker, has been home to visit his parents in Canada. He has been avoiding a run-in with his father, Rémy (Rémy Girard), a spirited and lustful Professor of History who long ago divorced Sébastien's loving mother Louise (Dorothée Berryman.) Meanwhile, his sister has left land entirely, sailing across the high seas in a yacht. But when a crisis calls Sébastien home to Quebec, father and son must confront one another at last. Right off the bat, their reunion is a bust. Equally stubborn, the two men cannot see eye to eye. To Sébastien, Rémy is unreasonable and cold. To Rémy, Sébastien is a symbol of the coming “barbarian invasions,” of all the negative changes in the world. But desperate to bring his father some kind of happiness, Sébastien pours his energy into an all-consuming mission: to reunite the “merry band” that marked Rémy's complicated past – friends, colleagues and former mistresses included. In the process, Sébastien discovers more about his father than he ever imagined, more about what he wants and hope for in his own life, and more about the pleasures of wine, women, conversation and the love and compassion of good friends. Denys Arcand's The Barbarian Invasions is a story about the humour, hope and unspoken bonds that hold family and friends together against the onslaughts of life in our contemporary times. 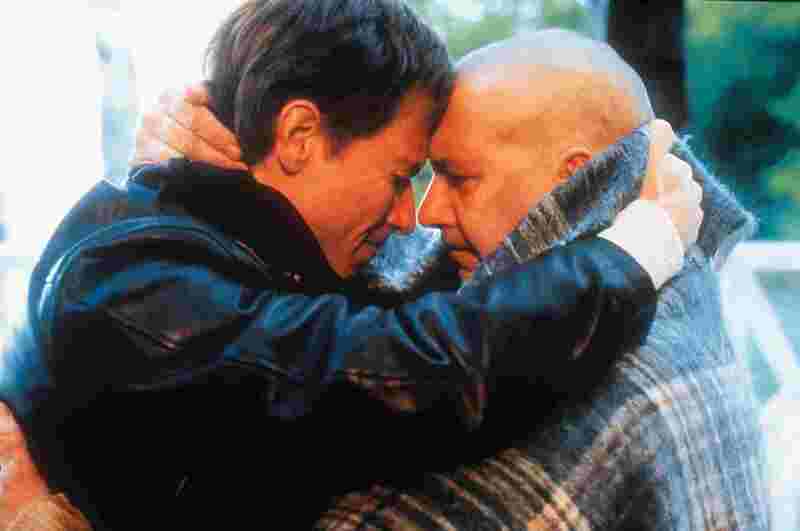 Winner of two major awards at the 2003 Cannes Film Festival, the film merges Arcand's alternately witty and tender storytelling style with his most deeply emotional tale to date: that of a father and son who think they have nothing left in common until – hit with a major crisis --they learn to share an insatiable appetite for life.